Silverton, Colorado is a great place to visit throughout the seasons. Whether you’re going to visit during the winter, spring, summer, or fall, you’ll find that there’s a lot to explore in this small community. If you’re going to be staying in Silverton for a time, even if it’s short, you’ll need a place to stay. With that in mind, consider a few notes on where to stay in the area. There’s a lot to explore here, and you could very well find yourself enjoying the beauty and historical elements of Silverton. The following options are just a handful of solutions with good reviews, quality star ratings, and positive elements for those that are looking at visiting for a short time or an extended stay. Regardless of why you’re visiting, these places open up for you to get some rest from your travel. The first location is for those that want to spend some time away from it all, in luxury. This is a location that offers a spa experience, with mountain views, and a bit of an informal look. It’s been rated 4 stars, and has a lot of rave reviews. Focusing on the beauty of the mountains, you’ll find that this is a great option to explore if you want something quaint, and luxurious all the same. For those that are looking at exploring the snow around Silverton, you’ll want to look into this upscale solution for a place to stay. Inn at Lost Creek is a great option, and it has been rated 4 stars. It’s a great option for those that are looking at a nice place to stay, with free breakfast, mountain views, and a taste of luxury while in Silverton. Another 4 star place to stay, this is a plush suite filled hotel with a lot of options for those that are looking to keep warm, this is a place that has a sauna, soaking pools, and much more. You’ll love this place, and you will enjoy luxury amidst the Silverton, Colorado historic areas. If you’re looking for something a bit more historical, then you’ll enjoy this one. 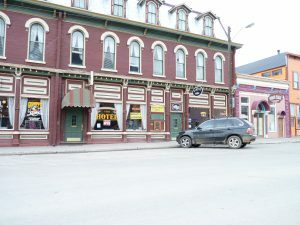 The New Sheridan Hotel is a 19th century option with a couple of restaurants, and mountain views. There’s also hot tubs that you’ll enjoy here, with a 3-star rating, which is a great option for those that are wanting to visit Silverton, Colorado soon. A Victorian style hotel from the 19th century is what you can expect with the Grand Imperial Hotel. The historical aspect of the city is what you get with this option. This property boasts free wireless internet access, a restaurant and more. This is an affordable location close to restaurants, and more. The options mentioned above are just some of the places to stay in and around Silverton, Colorado. There are other options to consider as well, and there are plenty of options at all price ranges for people that want to take time to visit this historical location.